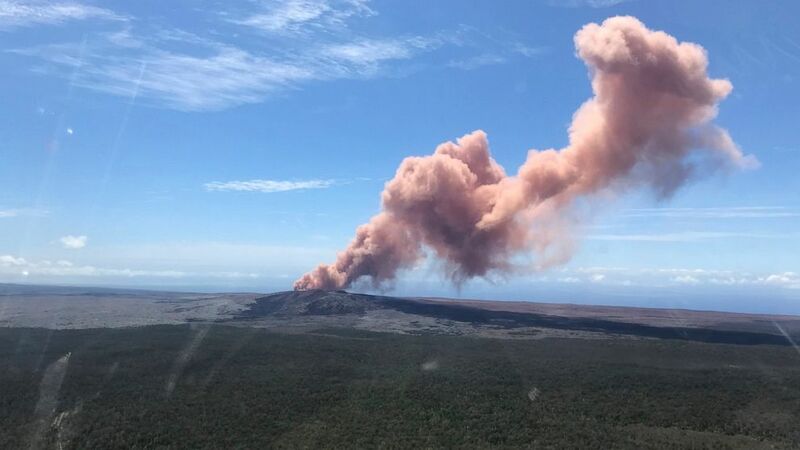 The eruption began on Thursday on the Big Island. Two homes on the Big Island of Hawaii have been destroyed by lava from a volcano eruption that started Thursday, while the island was shook by a 6.9-magnitude earthquake Friday just after noon. Harry Kim, the mayor of Hawaii County, confirmed the destroyed buildings, including one home, Friday morning. "It is more than just a loss of a home," Kim said at a news conference Friday. "We all have to understand how traumatic it is for the people being affected," he said. 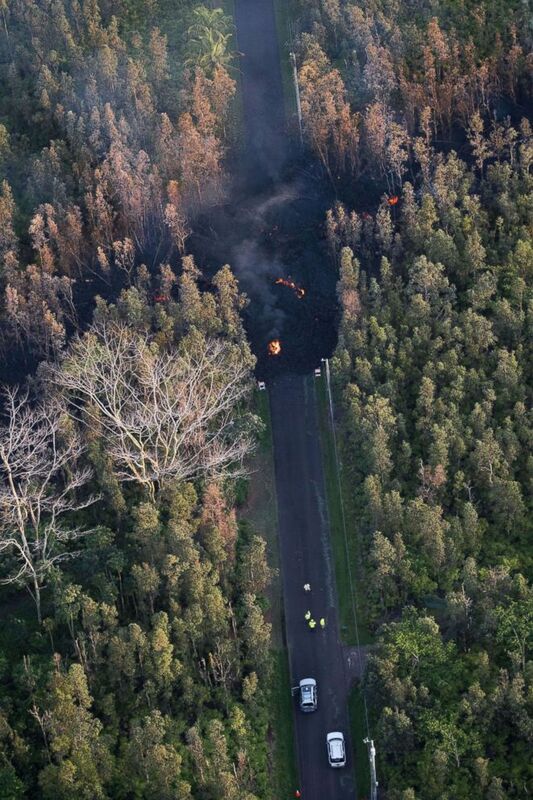 The lava has also caused damage to a subdivision road and some heavily forested private property. (AP) In this photo provided by the U.S. Geological Survey, red ash rises from the Kilauea Volcano on Thursday in Hawaii. Talmadge Magno, Civil Defense administrator, said "nothing came of" the earthquake, though four or five landslides damaged the coastline and one road was shut down in the area. Magno said some buildings had "minor" damage. Magno also said a fifth "vent" had opened up following the earthquake, spewing lava onto another local road. At least 1,800 people were ordered to evacuate the area near the volcano. 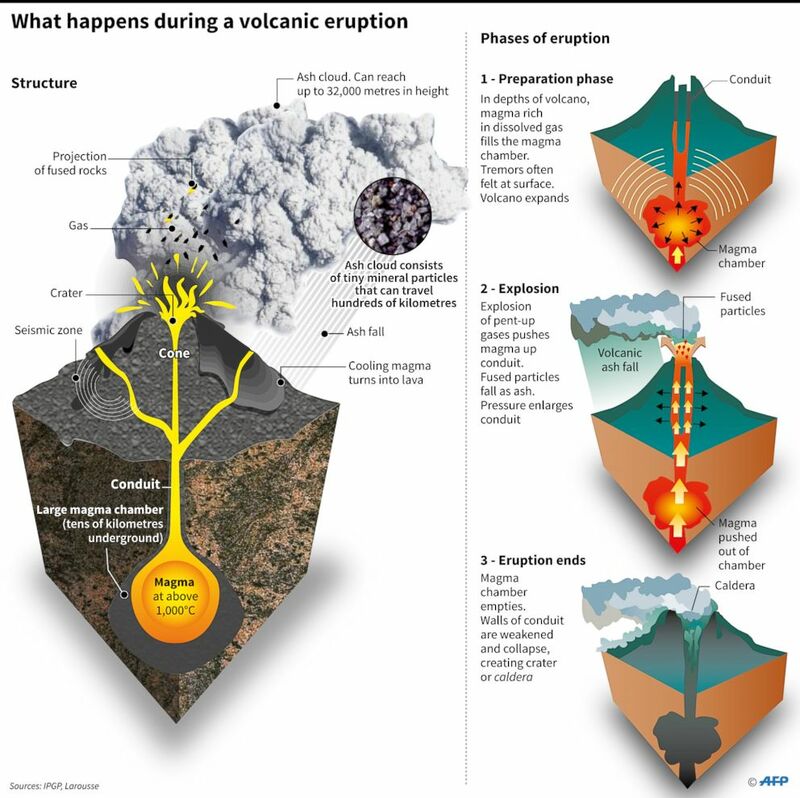 Kim said Friday that all eruptions so far have been concentrated in the southern area. Hawaii Gov. David Ige said in a statement he's activated the state's National Guard "to provide support to county emergency response personnel to help with evacuations and security." He's also signed an emergency proclamation to help provide state money for "quick and efficient relief." (Paradise Helicopters/EPA via Shutterstock) Mohala Street is covered by the lava flow as it makes its way downhill following the eruption of the Kilauea Volcano in Hawaii, May 4, 2018. 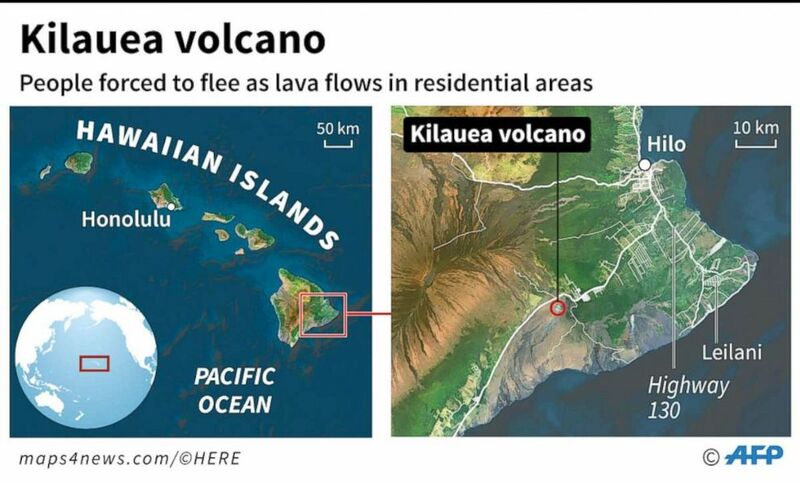 The Kilauea volcano began erupting around 4:45 p.m. local time Thursday, according to the U.S. Geological Survey.